Khaled al-Idlibi was still speeding away with his brother perched on the back of his motorbike when he heard the air strike that levelled his neighbours' house in northwest Syria. 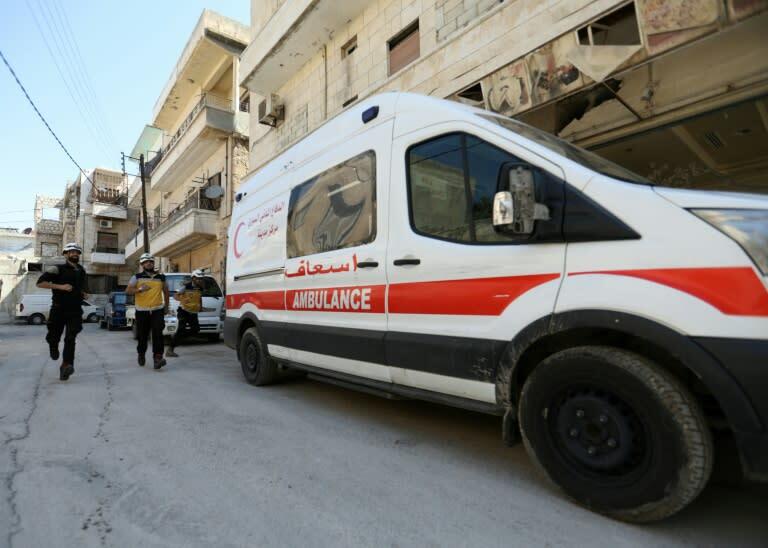 Those crucial extra minutes were thanks to a warning system that could help save civilian lives in an expected regime offensive on Idlib province, home to the last significant rebel-held area. The Sentry programme, launched two years ago by two Americans and a Syrian coder, uses human observers and a network of sensors to compute a predicted impact location when Syrian or allied Russian warplanes take off. The resulting estimate can then trigger air raid sirens near the target zone and send warnings to mobile phone applications, giving residents more time to take cover. Idlibi, a 23-year-old media activist, lives in Maaret al-Shureen, a rebel-controlled town in Idlib. On June 10 last year, he was picking up belongings he had left behind while fleeing from an earlier air strike when his smartphone suddenly lit up. "I received an alert on Telegram that a new warplane had taken off towards the same area," he said, recounting that he and his brother jumped on their motorbike and rode to about a kilometre from the predicted impact spot. Idlibi said "only three children were wounded that day" and estimated that up to 15 lives may have been saved by the Sentry alert. First launched in August 2016, the Sentry technology has become a sort of weather forecast service for many Syrians. The system's creators say that it has proved its worth, including during the intense air campaign against the rebel stronghold of Eastern Ghouta, earlier this year. "We saw a huge spike in use as the campaign ramped up," John Jaeger, a co-founder of the Hala Systems firm that developed the technology used in Sentry, told AFP. Jaeger, a former US diplomat and technologist who was looking for new ways to prevent civilian deaths in Syria, created the system with US entrepreneur Dave Levin and a Syrian coder whose identity is kept secret. It is therefore limited in which zones it can cover. It does not, for example, provide updates on US-led coalition warplanes targeting the Islamic State group in air strikes that have also routinely killed civilians. Hala Systems estimates that its warning system is available to around two million people in Syria, most of them in Idlib. Jaeger said that, while reliable statistics were hard to come by, data analysis showed that 27 percent fewer people died in air strikes on areas where Sentry was used. Residents who get an alert via social media, local radio stations or the air raid sirens that Hala triggers remotely have an average of eight minutes to seek shelter, Jaeger said. 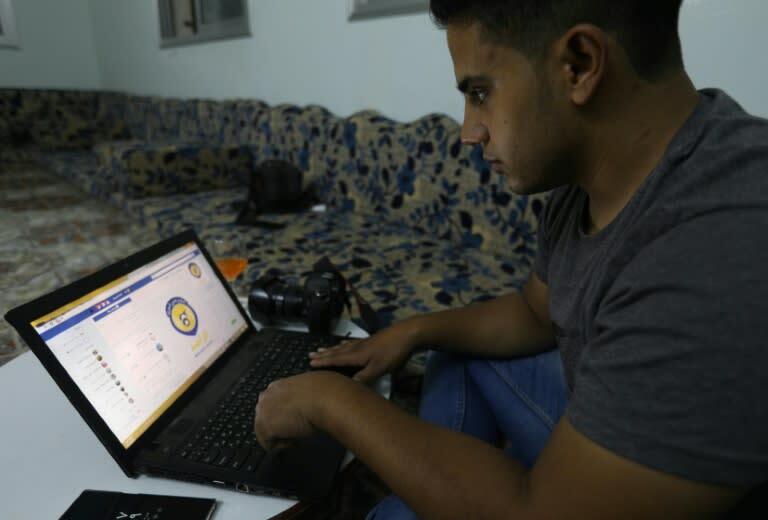 The White Helmets, a network of rescuers in rebel-held areas, are actively involved in the development of Sentry, a technology that gives their staff extra time to mobilise. 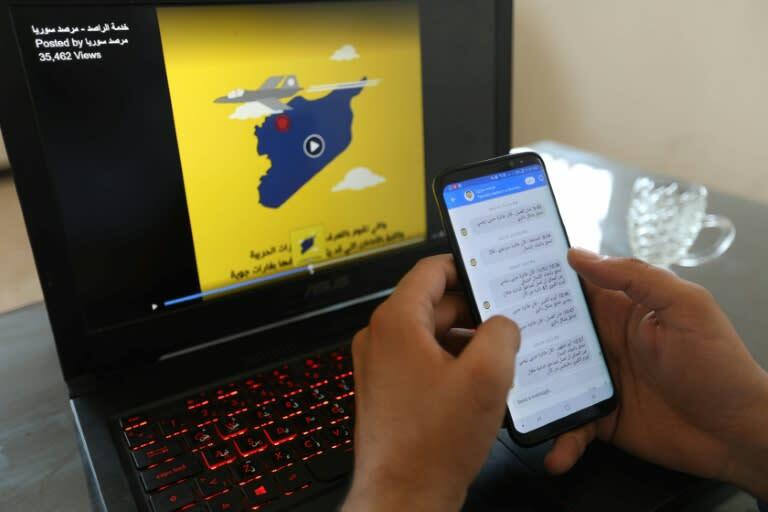 "The civil defence's technicians are trying to develop this service so that it reaches civilians even without internet," the warning system's coordinator in northern Syria, Ibrahim Abu Laith, told AFP in Idlib. He said 191 awareness sessions were held in recent weeks across parts of northern Syria vulnerable to government air strikes, so civilians know how to access Sentry. According to the Syrian Observatory for Human Rights, a Britain-based war monitor, more than 350,000 people have been killed since the start of the Syrian conflict. That figure includes around 33,000 civilians killed by regime and Russian air strikes and helicopter attacks. Jaeger said he had not detected any attempt to disable the Sentry system by Syria's regime. "They don't say they support it but I think they should. It's nobody's goal to kill as many civilians as possible," he said. "If Russia or a government aircraft specifically wants to target you, there is little this system can do for you... We just want to prevent as many preventable deaths as possible."